Wanna Play Some Leisure Suit Larry? Yes kids, this is how we did the computer thing back in the 90's. Long gone were those lame old 5.75" floppies, we were using the much sleeker 3.5". And we were dealing with MEGABYTES of data. Sierra Games ruled the roost and there was this new thing called the internet (I don't think much came of it). 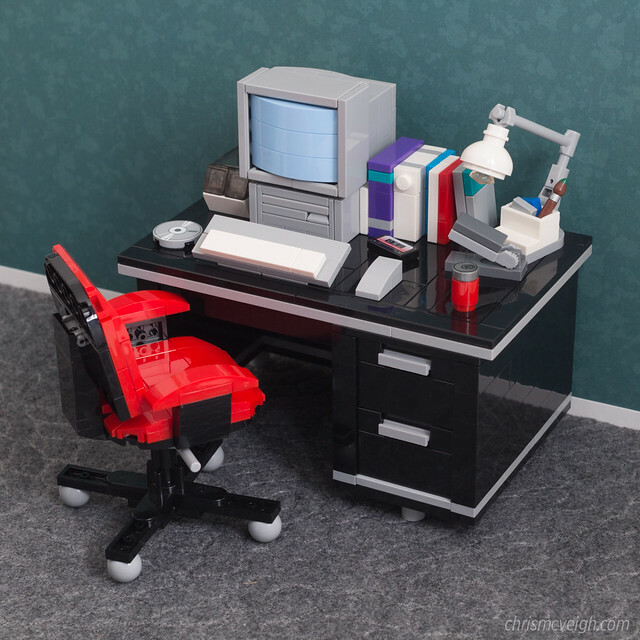 For those that remember back then this MOC by powerpig should be a whole lotta nostalgia (and really slow boot times).